Tip Number 4: Eat Busy. It is often tricky to find that balance between the safe option of eating in your hotel or launching yourself into the unknown of local food stalls and restaurants. My golden rule is always to “eat busy” – if it’s packed with locals, it’s got to be OK. It doesn’t matter how clean or inviting a place looks, if there isn’t another soul in sight – or if the only diners are tourists – then go elsewhere! 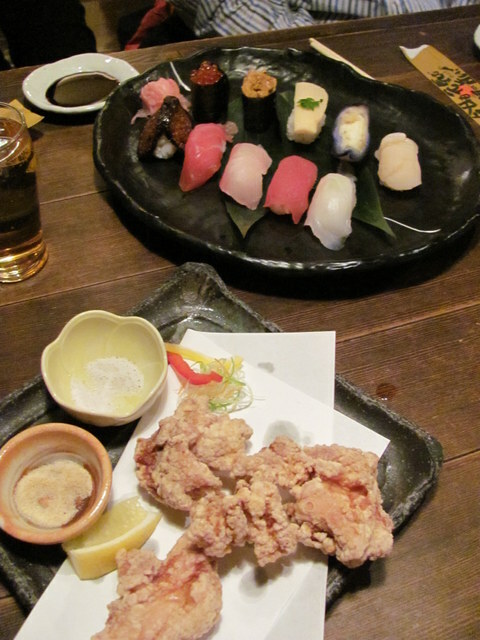 Sampling local fare at an izakaya (pub) in Japan. Escargot (snails) in the Loire Valley, France… not bad! 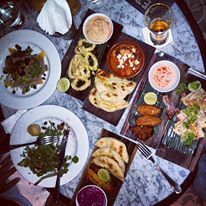 Some of our feast from Petitenget, Bali. What are your dining hints and recommendations for travelling? Share them here. 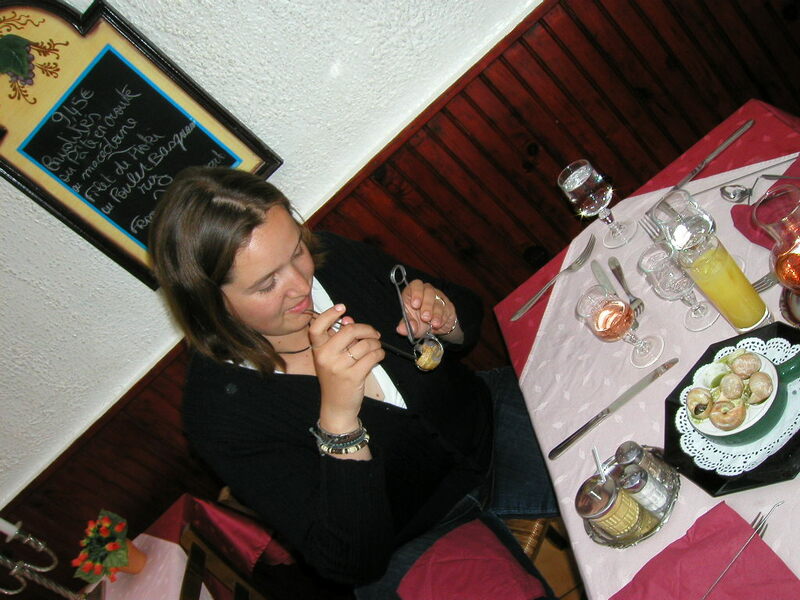 Fantastic advice for travelling foodies from Sonia at Sonia Jones Travel! 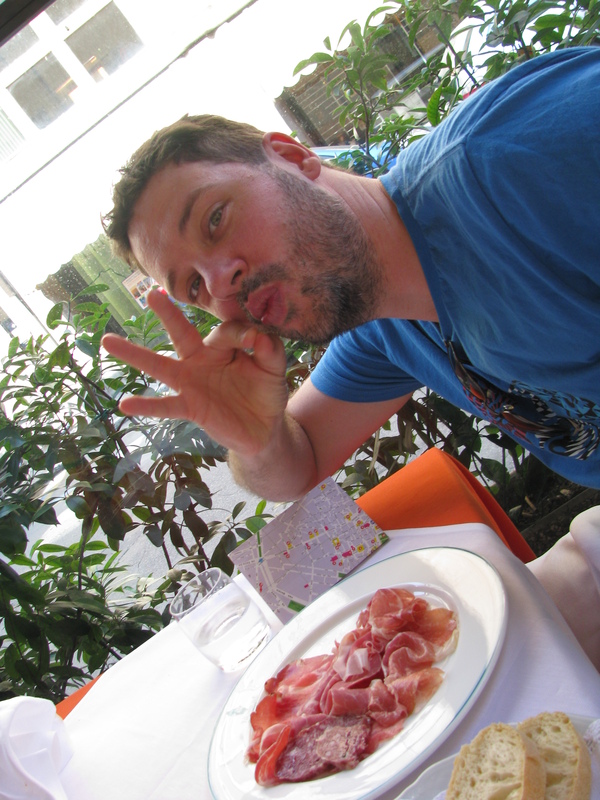 This is something J. and I always try to do – eat with the locals, eat where it is busy and be adventurous. Thank you Life is Short, Eat Hard! Your blog is fantastic also! So true! I am always peering at other people’s plates and asking what they are having or where they got it too. Thanks for your comments! Great rules to follow and ones that I apply to my travels. With the Internet it is so easy to find something tasty and local beyond what the hotel recommends. Thank you! Agree re: internet recommendations as well. This is so true! I just was in this predicament today while still searching for new places to eat in my new town! I definitely picked my meal based on how many people were there! Thanks for sharing! You’re welcome! Hope you found somewhere great. The food and your descriptions are a pleasure to read… :). Love your blog… especially since I am also a passionate foodie and a total wanderlust myself! Thanks Sonal! Always happy to meet another traveller with a passion for what a place feels (and tastes!) like. :). Do check out my blog… I write about restaurants I love! Thanks Christian! I am fairly new to it too so feel pretty happy that you like it! Steep learning curve! Great post! I LOVE izakayas and miss them so much 😦 BTW, thanks for following my blog. It is now at http://www.retrokix.com. I miss them too! Still trying to find a genuine one here in Brisbane… the eternal quest! So true! Deep fried frog… Well, when in Croatia… How was it?? like chewy spring chicken, very nice! I’ve had frog before, so that wasn’t the shocking part – just that they had trussed the frog up into some rather painful-looking contortions so it looked a little surreal..
Yelp and trip advisor are great sources to find placed to eat. Eva I haven’t looked at Yelp but yes, have used Trip Advisor for good restaurant options too. Thank you everyone for sharing your comments and taking the time to read this blog! Really appreciate it!